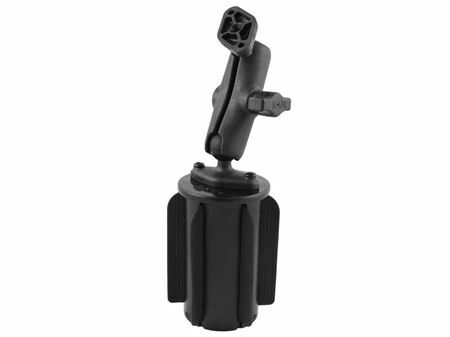 The RAP-299-3-B-102U RAM-A-CAN™ II Universal Cup Mount with Double Socket Mount from the RAM Mount Bases range consists of a RAM-A-CAN cup holder base, a pair of diamond bases, and a double socket arm. The bases are approximately 2.43” x 1.31” and each are built with a pair of holes 1.912” apart from one another, for easy mounting. This allows it to be compatible with all standard AMPS hole designed mounts.